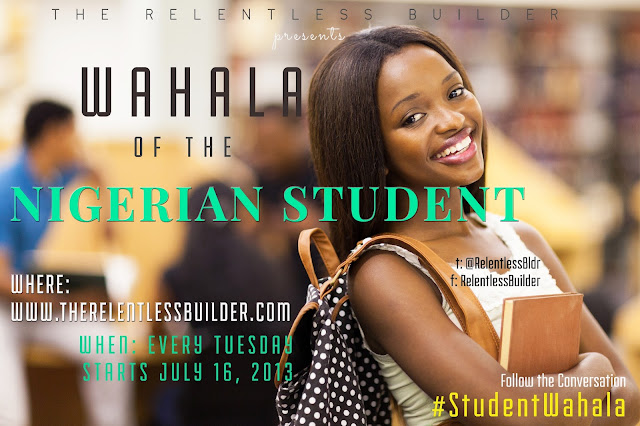 As from Tuesday, July 16, 2013, I will be starting a new blog series titled "Wahala of the Nigerian Student." 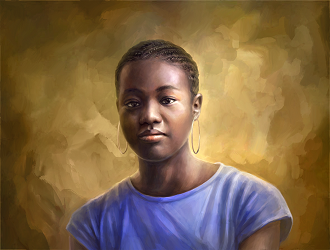 Wahala, as you might know, means Problems. Now, the purpose of this series is not only to highlight the unique problems and challenges faced by the typical Nigerian student, but also to offer up solutions, and bring to your attention various individuals and organizations who are already making themselves part of the solution. I expect this series to take a couple of weeks, certainly longer than The Gentleman Series, but I hope you'll join me and add your voice to the conversation. If you schooled in Nigeria at any point in your life, you'll definitely want to be part of this series. Furthermore, if you schooled in Africa too, you'll notice similarities in the problems highlighted here. Your contribution too, will be greatly appreciated. If you have any questions or want to add your voice via e-mail, I'm available at relentless@therelentlessbuilder.com. This would be lovely and funny. Tommie: I hope so o. Look forward to seeing you there. Toin: Lol! I hope you brought popcorn (not guguru). Myne: Thanks for complimenting the poster o! It promises to be interesting. Nollywood Rave: Me too. I can't wait!